about_dog_walker_Anna - DOG WALKING DO.-A TIRED DOG IS A HAPPY DOG! My name is Anna and I am an avid runner and dog lover with a total of 10+ years of experience taking care of dogs, cats, and small animals. After graduating from Babson College in Wellesley, MA in 2005 with a business management degree, I started this successful company in 2009 (which was the 1st dog walking company in East Boston) and started providing dogs with fun, reliable, safe and responsible dog walks and pet sitting services. I started this small dog walking company to help my neighbors, community residents, and the furry friends of East Boston and am proud to say that Dog Walking Do. has grown to a well-established, local dog walking service that truly cares about our pets. In my spare time I enjoy running, playing sports, attending the local East Boston YMCA and spending time with my family. I will always strive to do my best if you choose me for your family's pet sitting and dog walking services by also emailing you daily, weekly, and monthly updates about your pet's progress with a picture attachment or posting updates and photos to our Facebook Page. Dog Walking Do. 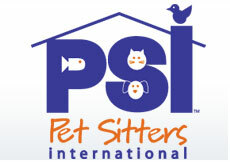 is Bonded and Insured by Pet Sitters International & is a Licensed Dog Walking company. We are partnered with Pet Sitter Plus Technology which allows our clients to easily request walks/pet sitting online, update their schedules, view invoices, and conveniently pay online with our auto-pay feature all with a click of a button from their mobile device or a computer.